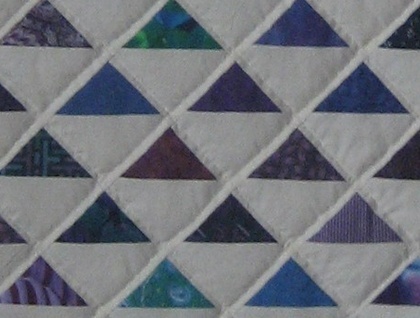 A lovely light lap quilt, soft calico background with triangles of deep blue, purple, and turquoise. 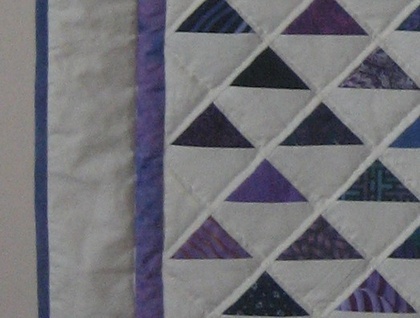 Perfect to drape on a couch, ready to snuggle under when your feet get cold reading, chatting, watching TV. Hand or gentle machine wash, polyester batting dries very quickly. 1 metre by 1.5 metres. 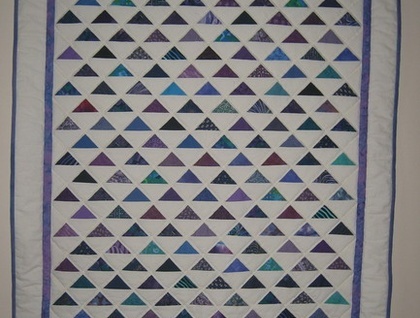 Could be a topper quilt for a single bed, would look lovely in a little girl's room.